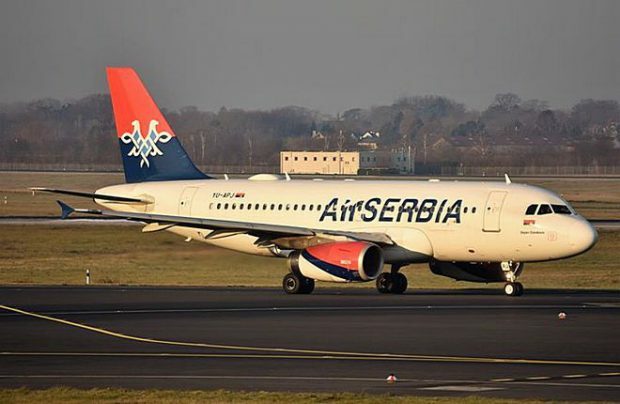 National flag carrier Air Serbia is to launch scheduled services connecting the country’s capital of Belgrade with Kyiv in Ukraine and Krasnodar in Russia, among seven new destinations it is adding to its network in the coming summer season. With direct air connections between Serbia and Ukraine having been suspended for three years, this is Air Serbia’s latest attempt at re-launching the service. Prior to 2013, flights between the two countries’ capital cities were fulfilled by Ukraine’s AeroSvit – until it withdrew from the market. A year later Air Serbia announced plans to fill the niche but postponed the launch several times. After operating the route for several months in 2016, the latest announcement thus marks the airline’s third attempt to access Ukraine’s travel market, with the year-round service to Kyiv’s Boryspil Airport to be operated by an Airbus A319. In neighbouring Russia, the new thrice-weekly service to Krasnodar Pashkovsky airport complements the airline’s existing routes from the Serbian capital to Moscow and to St Petersburg, as it offers onward flight connections through Belgrade to destinations in central and eastern Europe. The successor to JAT Airways, the original Serbian national carrier, Air Serbia adopted its new name in 2013 when, under a strategic partnership agreement, UAE-based Etihad Airways acquired a 49 per cent stake in the airline.